ACSA holds triple accreditation by ISQua, the International Society for Quality in Health Care, one of the world’s benchmarks in the field of quality certification. ACSA is one of the three organisations at European level that achieved the recognition of ISQua at three levels of accreditation: ‘Organisation‘ – Accreditation of external evaluation organisations; ‘Surveyors Training Programme‘ – Evaluators training accreditations; and ‘Standards‘ – Accreditation of healthcare quality standards for the Manual of Hospitals and Manual of clinical management units, including laboratory, haemodialysis and diagnostic imaging. 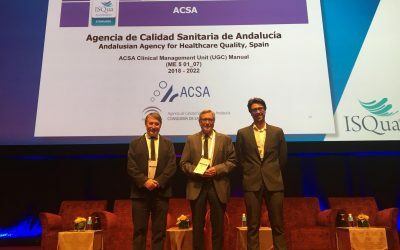 The ACSA model has been adopted as the official model of Portugal for the certification of health institutions and services, following the agreement signed in 2010 with the General Directorate of Health. The Andalusian Agency for Healthcare Quality is an Independent Assessment Body (IAB) belonging to the assessment project of the European Reference Networks for Rare Diseases (ERNs). Through collaboration with the Brazilian Institute for Excellence in Health (IBES), ACSA maintains a certification line for specific health centers and units in Brazil. 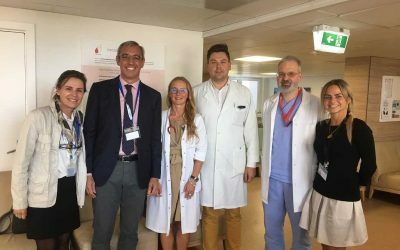 The Andalusian agency for Healthcare Quality has various active collaboration agreements with international entities that operate in the health and social services sector. Aim: Fostering the continuous improvement of professionals, encouraging their involvement in a certification process according to the quality standards included in the certification programme for professional competencies of the Andalusian Agency for Healthcare Quality. Aim: Boosting the creation of knowledge in healthcare quality that may be transferred to the health system, patients and health professionals, and may promote the excellence in the healthcare services and social welfare. Aim: Definition of the framework for the cooperation between the signatory institutions in matters of healthcare quality, knowledge management, competencies, certification, continuing training received by SSPA professionals (Andalusian Health Public System), patient safety, and research. Aim: Technical assistance for the validation of the methodology used in the design of competency maps. Duration: Project development, 30/09/2915 – 02/10/2015. Aim: Technical and academic cooperation between the parties in matters of education, research and knowledge dissemination within the competencies of the parties in the health area. Promoting academics, students and researchers exchange through joint projects carried out in the areas established as Internships, Degrees, Seminars, Workshops, etc. Aim: Training of health regional services professionals within the Individual Development Plans Management Model and the implementation of the Model. Aim: Increasing the academic cooperation in matters of research and culture between UANL and ACSA. Duration: 3 years. Latest Renewal: 01/10/2015. Aim: Training of health regional services professionals within the Individual Development Plans Management Model. 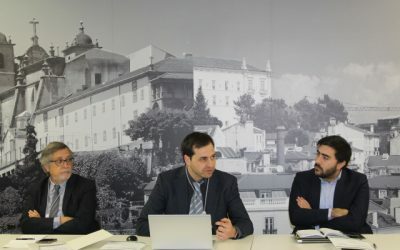 Aim: Provision of ASP service of the App ME_jora C for the ACSA model certification of health centres and units within the Portuguese health system. Type: Contract for the Provision of Services. Duration: 1 year. Latest Renewal: 15/01/2016. Aim: Ensuring cooperation between signatory parties for the development and sharing of policies in matters of patient safety healthcare quality, pursuing the continuous improvement and the excellence of the cares provided to citizens. Aim: Ensuring cooperation between signatory parties for the development and sharing of the certification and health certification model, and sharing the Patient Safety Observation Model, both developed by ACSA. This cooperation will respect the nature and the organization of both signatory parties’ health systems. Type: Protocol on Specific Cooperation.